B'resheet/Genesis 2:21 And He took one from his sides and He shut the flesh of her place. Nachmanides, commenting on the order in which the event occurs, says that in his opinion, "it is correct to say that it was His will, blessed be He, not to take Adam's rib from him to make him a wife until he himself would know that among the created things there is no help suitable for him and until he would crave to have a help suitable for him like her." According to the original source, then, Eve was not an afterthought or created out of sequence, but was deliberately held until Adam realised that he needed her and expressed that verbally. Many of the other commentators follow this line and emphasise the equal status and value of woman. The word translated in this verse 'rib' by many versions - - comes from the root , to lean on one side or to limp. It is nowhere else rendered in this way, always otherwise being translated as some variation of 'side': a side-chamber, sides or leaves of a double door. Rashi, Ibn Ezra and Maimonides all translate it here as 'sides', citing their authority as "and for the second side of the tabernacle ..." (Shemot 26:2, ESV). The word is also translated 'wife' by one version: "His progeny hunger; disaster awaits his wife" (Job 18:12, JPS). This is why our translation above says "her place", because 'side' is a feminine noun and is going to be made into Eve. HaShem as the subject, or "the flesh shut", with the flesh that had been parted as the subject. Hirsch draws an even bigger picture by explaining that the word , flesh, "includes everything which is not blood and bone, accordingly skin, muscle and nerve, the means by which mediation between the spirit, the mind and the world takes place". Sforno claims that "since the choicest dust had been gathered and all proper material went into man's living form, therefore, when G-d wanted to fashion the female form, which was almost similar to him (Adam), it was fitting to take some of his material, namely one of his sides". The best of the material already having been used, rather than use something inferior, G-d divided what He already had to make two that would be appropriately matched. Hirsch agrees: "With Woman, the material for her body was not taken from the earth as it was with man. G-d formed one side of Man into Woman; Man, as it were, was divided, and the one part formed into Woman. So that what was previously one creature was now two, and thereby the complete equality of women forever attested." Both speak about the equality of man and woman, two of one substance, but Hirsch extends his idea to include the ancient commentators: "Our Sages also ascribe all the special characteristics of the female voice, the female character and temperament, as well as the earlier spiritual and mental maturity of women, as being connected with this formation of Woman out of the already feeling, sensitive living body of Man, in contrast to Man, whose body was created out of earth." By starting with something that was already alive, G-d was able to produce something better, something softer and more gentle, but also something finer in maturity. 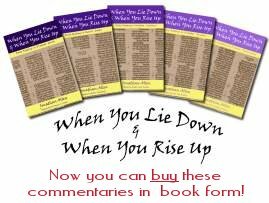 Another important theme in the Jewish commentary is the significance of the 'rib' to the position that woman was designed to occupy. Nahum Sarna writes that "the mystery of the intimacy between husband and wife and the indispensable role that the woman ideally plays in the life of man are symbolically described in terms of her creation out of his body. The rib taken from man's side thus connotes physical union and signifies that she is his companion and partner, ever at his side", emphasising not only the physical union between a husband and a wife, but the degree of fit and match in all aspects of life together. It is as if, however counter-cultural this may seem in the modern world, a couple are seen both by G-d and man as one, a united whole. Cassuto also sees this extending to the spiritual world, "Just as the rib is found at the side of the man and is attached to him, even so the good wife, the 'rib' of her husband, stands at his side to be his helper-counterpart, and her soul is bound up with his." This unity, spoken by G-d during the creation narrative - "a man shall leave his father and his mother and hold fast to his wife, and they shall become one flesh" (B'resheet 2:24, ESV), is echoed by Yeshua (Matthew 19:5-6) and Rav Sha'ul (Ephesians 5:31). If we are the Bride of Messiah, Yeshua's wife as it were, then what role are we to play? How should we see our position standing beside Him, being the appropriate and exact helpmate for Him? Each one of us has been individually created by G-d: first physically, not from the dust of the earth, but from the physical substance of our parents, the secondly by being born again in Messiah. We have been brought into covenant relationship with Yeshua; His Spirit lives in us and gives us life. We must hold fast to Him and never leave Him; we should stand at His side, obeying His commandments, speaking His words and doing whatever He tells us to do. We should seek always to honour Him, to point others to Him, to emphasise Him over ourselves - for our souls are bound up with Him. Messiah took on human flesh, "when the fullness of time had come, G-d sent forth his Son, born of woman" (Galatians 4:4, ESV). He became one of us - "the Word became flesh and dwelt among us, and we have seen his glory, glory as of the only Son from the Father, full of grace and truth" (John 1:14, ESV) and here the Greek word , translated 'dwelt' by the ESV, literally means "spread out His tent" - He dwelt among us in the same way as the presence of God dwelt in the Tabernacle in the middle of the Israelite camp in the wilderness: among the people. Now, although we say, "I have been crucified with Messiah. It is no longer I who live, but Messiah who lives in me. And the life I now live in the flesh I live by faith in the Son of G-d, who loved me and gave Himself for me" (Galatians 2:20) and it is (or certainly should be) true for each one of us, that emphasises our individual relationships with G-d rather than our corporate relationship with Yeshua as the Bride. Later on Rav Sha'ul says, "Messiah loved the Messianic Community, indeed, gave Himself up on its behalf, in order to set it apart for G-d, making it clean through immersion in the mikveh, so to speak, in order to present the Messianic Community to himself as a bride to be proud of, without a spot, wrinkle or any such thing, but holy and without defect" (Ephesians 5:25-27 CJB). We must learn to respond to Him as the bride: united, clean and pure, standing firmly by His side together, rejoicing in and helping each other, rather than wincing and wishing that these ones or those ones hadn't had to come along right now. 1. - I have recently been very kindly given a copy of Umberto Cassuto's two volume Commentary on the Book of Genesis, The Magnus Press, Jerusalem by my good friend Tim Butlin. Cassuto was Late Professor of Bible at the Hebrew University of Jerusalem. Application: Do we treat men and women as equals within the Body of Messiah, standing on the same spiritual foundation of Messiah Yeshua (Galatians 3:28)? Do we similarly see men and women of the world as equally in need of salvation?